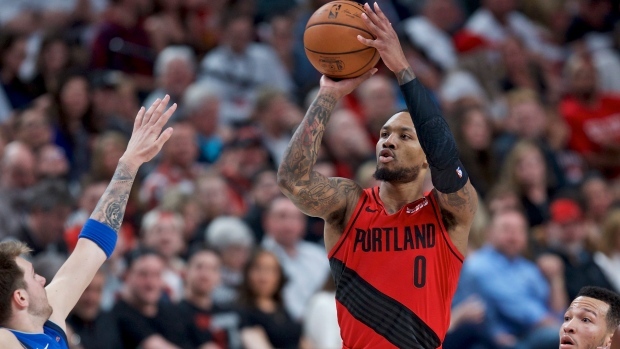 PORTLAND, Ore. — The play of Damian Lillard has been a constant for Portland. It's the contributions by his teammates that have coincided with the Trail Blazers' rise in the standings. Pistons: The game featured two of the top three offences in the NBA since the All-Star break. The Blazers entered the game tied for the top mark after the break while the Pistons came in third. However, Pistons head coach Dwane Casey didn't want to talk too much about the offence. "Shot making is an amazing thing. We're taking the same shots and running the same offence we ran earlier in the year," Casey said. "Again, it's shot-making, guys playing with a lot of confidence offensively. We can't worry about a lot of offence, we have to have our defensive focus. We've worked hard to get our offensive identity put in. We have to make sure we have some semblance of defensive focus and defensive identity."